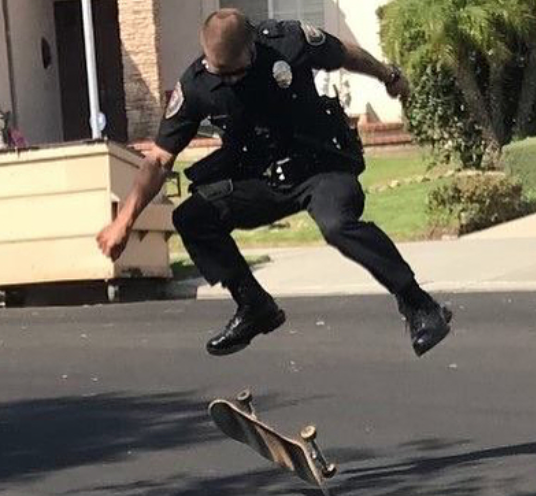 An Oxnard police officer showed off some sweet skateboarding moves while he visited some kids in between calls. At first, the children thought they were in trouble for skateboarding, but then the officer started doing some tricks. Turns out, the cop was an amateur skateboarder for 10 years.